There’s been a lot of buzz about kale in the food world recently and it’s because people are discovering that it’s one of the healthiest foods around. Although it’s not a staple in most American households, kale is gaining a lot of popularity because of its numerous health benefits- and it tastes pretty good too! Kale is a leafy green vegetable that belongs to the Brassica family which also includes veggies like cabbage, broccoli and brussel sprouts. 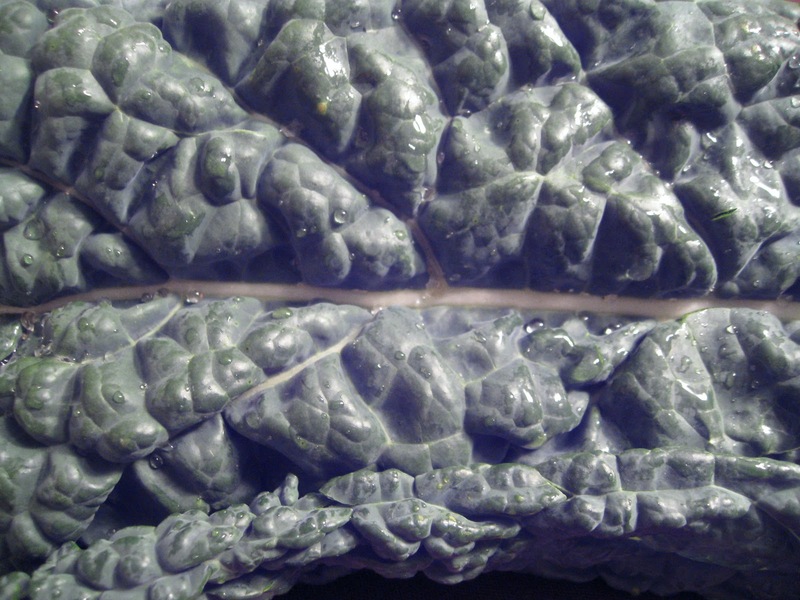 There are many different varieties of kale including curly, Tuscan (also known as lacinato or dinosaur kale), and Redbor. The leaves have an earthy taste and some varieties are slightly bitter. 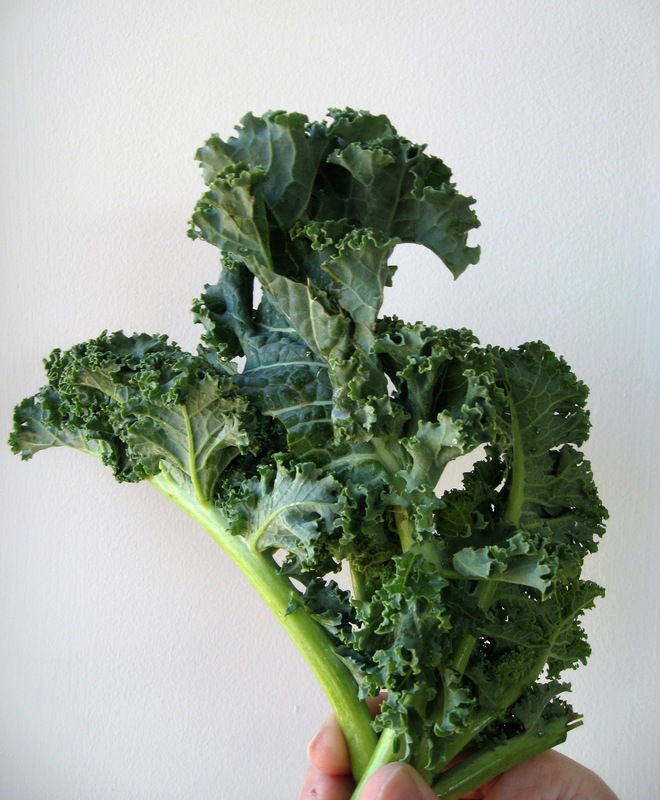 Other varieties such as Tuscan kale have a milder, sweeter flavor. 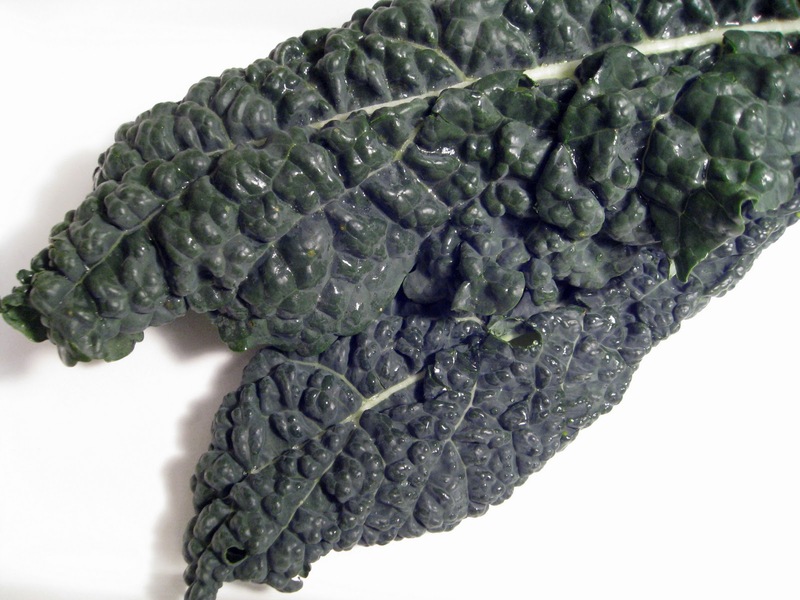 Kale is at its best in the fall and winter and actually tastes sweeter after it has been exposed to a frost. Kale is considered a superfood because it’s a great source of vitamins and minerals and it also contains several other compounds that are beneficial for your health. It has very high levels of Vitamins A, C and K-one cup of chopped kale provides well more than your recommended daily allowance of these vitamins. It also is a good source of Vitamin B6, calcium, thiamine, folate, iron and several other nutrients. It is low in calories, fat and cholesterol and is a good source of fiber and protein. Kale has a sturdy texture which makes it a good addition to soups and stews. It also can be sautéed, steamed or baked. It can even be eaten raw- in general, the smaller, younger leaves are more tender. The next time you’re craving potato chips, try these crispy kale chips instead. These chips are light, nutritious and a cinch to make. Roasting the kale leaves gives them a nice nutty flavor- they’re a great way to get kids and picky eaters to eat their leafy vegetables! This recipe simply calls for salt but you can sprinkle on whatever spices you like to add different flavors. Rinse and dry the kale leaves. Make sure the leaves are completely dry so that they crisp up nicely in the oven. Remove the stems and ribs, then cut or tear the leaves into large pieces. Toss the kale pieces in a large bowl with the olive oil and mix with your hands to make sure all of the pieces are coated. Season with salt. Transfer the kale to 2 baking sheets, arranging the pieces in a single layer. Bake in the oven until crispy, about 10 minutes. Watch them carefully during the last few minutes as they can burn quickly. Remove the tray from the oven and let the chips cool before serving. Enjoy! 1. Srinibas Das, Amrish Kumar Tyagi and Harjit Kaur “Cancer modulation by glucosinolates: A review”. Current Science 2000; 79 (12): 1665. 2. Hayes, JD; Kelleher, MO; Eggleston, IM “The cancer chemopreventive actions of phytochemicals derived from glucosinolates.”. European Journal of Nutrition 2008;47 Suppl 2: 73–88. 3. Cornblatt BS et al. “Preclinical and clinical evaluation of sulforaphane for chemoprevention in the breast”. Carcinogenesis 2007;28 (7): 1485. 4. Birt DF, Hendrich S, Wang W. “Dietary agents in cancer prevention: flavonoids and isoflavonoids.” Pharmacology & Therapeutics. 2001;90(2-3):157-77. 5. Liu R. “Potential Synergy of Phytochemicals in Cancer Prevention: Mechanism of Action” Journal of Nutrition. 2004;134:3479S-3485S. 6. Ommen, G. S., Goodman, G. E., Thomquist, M. D., Barnes, J. & Cullen, M. R. (1996) Effects of a combination of ß-carotene and vitamin A on lung cancer and cardiovascular disease. New England Journal of Medicine. 334:1150-1155. 7. Christen WG, Liu S, Glynn RJ, et al. “Dietary Carotenoids, Vitamins C and E, and Risk of Cataract in Women – A Prospective Study.” Archives of Ophthalmology. 2008;126(1):102-109. 8. Kahlon TS, Chiu MC, Chapman MH. “Steam cooking significantly improves in vitro bile acid binding of collard greens,kale, mustard greens, broccoli, green bell pepper, and cabbage.” Nutrition Research. 2008;28(6):351-7. 2008. Wow.. only a physician would put full references in appropriate format. Definitely going to try it in Stir-Fry, sounds like a great idea! I am a huge fan of kale. 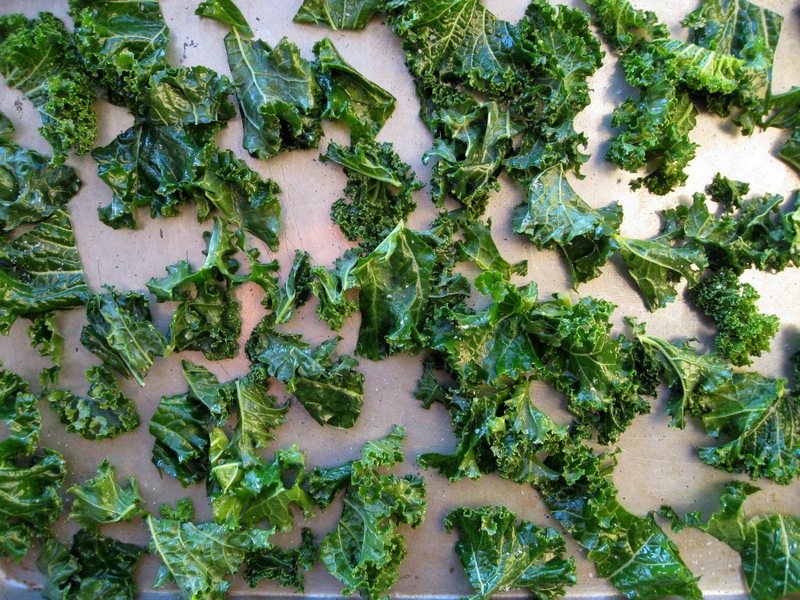 Kale chips are one way I am sure that my entire family will enjoy it with me. Great blog! Luv it. Great post. Am so craving them now..
Who knew it was a superfood! Great nibble, especially for a health conscious vegetarian. I discovered Kale chips a few weeks ago and absolutely adore them! Great and informative post..thanks! I just discovered your blog this evening. Wow! I can't wait to try some of your recipes. About the kale chips, I made these the other day for the family, and while they were tasty and we all felt good about the fact we were eating kale as if it were potato chips, just how much nutrition is left when the kale is baked. Do you think all the good phytochemicals and whatnot are baked out? I think the take home point is that many vegetables, including kale, have important nutrients and phytochemicals in the raw state. But they also have other beneficial compounds that are formed with cooking. So you should eat a mixture of both raw and cooked forms. Heat can destroy many nutrients so keep cooking time to a minimum, and in general avoid boiling your veggies for a long time because this cooking method seems to lead to the greatest loss of nutrients. 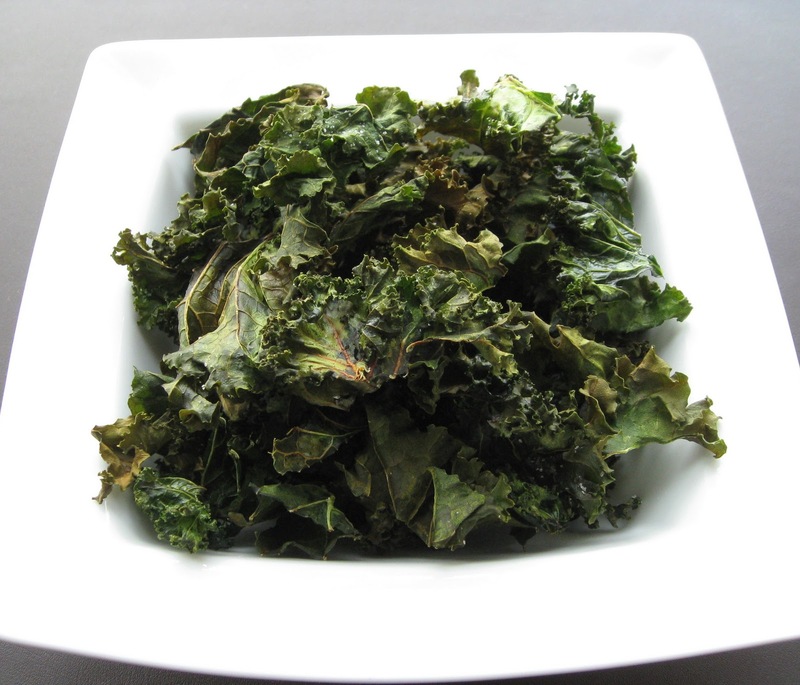 I have been using kale in salads more often than any kinds of lettuce.I also do the crispy kale for company. They love the change. Yum!